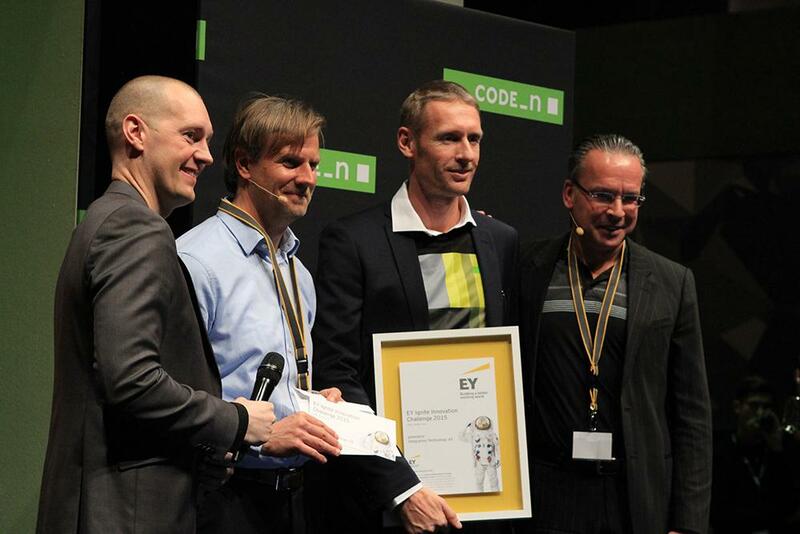 We are proud to announce that Greenbird received the EY Ignite Innovation Challenge 2015 award during this year´s CeBIT fair in Germany. As a winner of the challenge, Greenbird will amongst others get the opportunity to meet leading innovators and executives in Silicon Valley in the United States. The award will serve as a door opener into international markets for Greenbird´s disruptive integration service Metercloud. We would like thank employees, partners and customers that voted for us. Please check out the happy winners on Twitter.